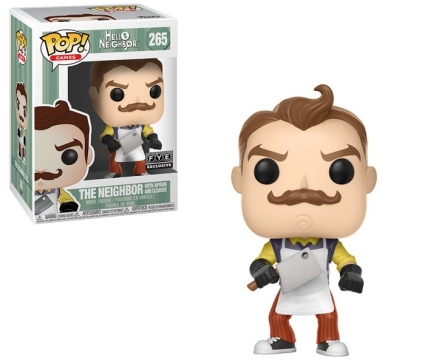 There's no escaping the extraordinarily spooky Funko Pop Hello Neighbor vinyl series. 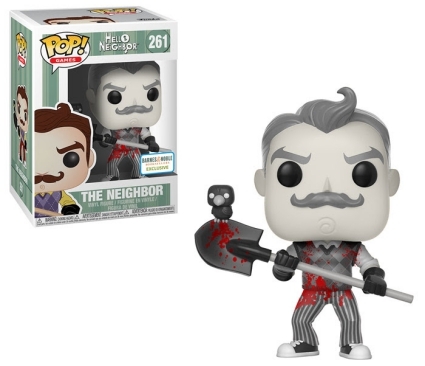 Not likely to shock collectors, the set is based around the mysterious next-door neighbor, who is the key subject in the Hello Neighbor game. As part of the gameplay, players are forced to perform stealth tactics to avoid detection—of course, after breaking and entering into the neighbor's house. Funko Pop Hello Neighbor provides several options for The Neighbor and gives gamers an idea of what to expect in the survival horror game. 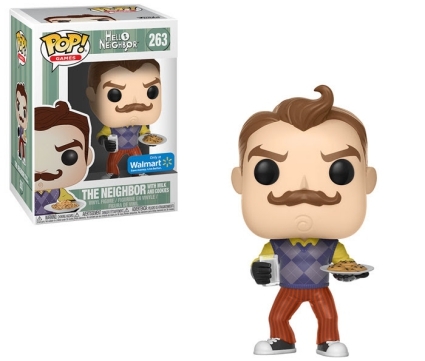 Order Funko Hello Neighbor Figures on Entertainment Earth. Numbered into Pop! 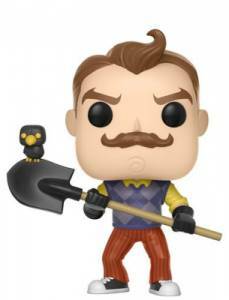 Games, each of the vinyl figures is seen neatly dressed in a purple plaid sweater vest over a yellow dress shirt, with red-striped pants. Oh, and The Neighbor also wears leather gloves and sneakers. Maybe he is hiding something after all?! The primary option showcases the large man holding a shovel with a crow resting atop the blade. The black-and-white variant for #261 is issued through Barnes and Noble. 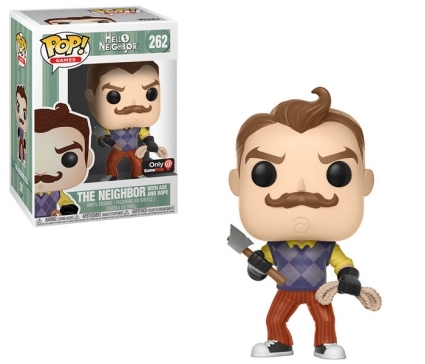 Aside from the main figure, Funko Pop Hello Neighbor offers several retail-exclusive variants of The Neighbor. 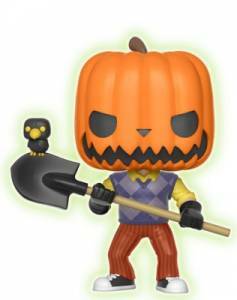 Ditching the shovel, GameStop features an axe and rope, while FYE has a figure with an apron and cleaver. Furthering the eerie lineup, The Neighbor with milk and cookies can be found at Walmart, along with a version where he is holding glue bottles in both hands. 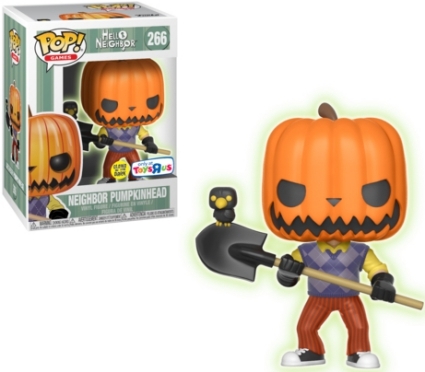 Displaying some added fright, the Toys R Us exclusive is the glow-in-the-dark Neighbor Pumpkinhead. 265 The Neighbor w/ Apron, Cleaver - f.y.e. 265 The Neighbor with Apron and Cleaver - f.y.e. Funko Pop Resident Evil: Tyrant Hot Topic Exclusive 6"